I’ve learned so many things as teacher. I learned obvious things like creating a cohesive climate, teaching “difficult” children, and building relationships. But to be completely honest, I also learned a lot about budgeting and saving money. Piecing together my income in college, made me grateful for a steady full time budget with benefits when I landed my teaching job. That still didn’t change the fact that I had a love for shopping, an addiction to buying teacher stuff and a heart to buy necessities for my students. Eventually, I got really creative with budgeting and saving and actually got pretty good at it! Are you curious yet? Good! I can’t wait to share them with you because I KNOW you can benefit from some, if not all of these! Are you working on an advanced degree or have a school email email address (with .edu)? If so, you qualify for FREE Amazon Prime Student for six months! You’ll get fabulous Prime goodies, such as free two-day shipping, Prime Video, Prime Music, referral bonuses, unlimited photo storage, discounts and other special offers. After a six-month free trial, it’s just $49 a year, which is half the price of a regular Amazon Prime membership! You can’t beat that! (If you don’t want to download the app you can also create an online account and download it to your card that way.) 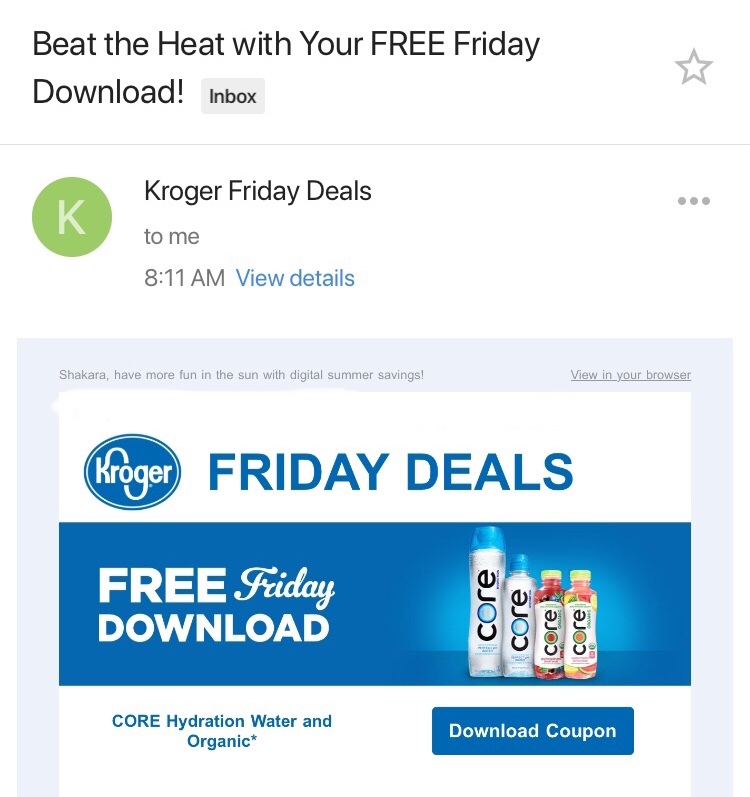 I have it set up where I get an email on Fridays to let me know what the item is. You can also just check the website, if you prefer not to be notified. 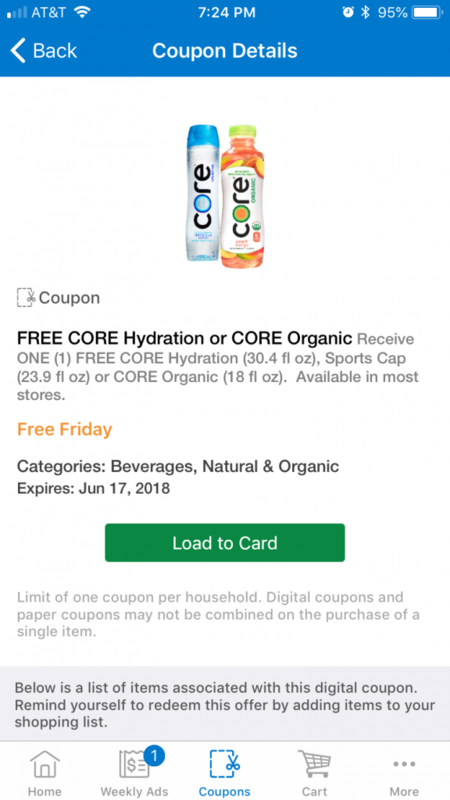 When you get to the store and are ready to checkout, all you have to do is scan your Kroger card as usual and it will automatically deduct the free item! Anybody who knows me knows that I go to different stores for different products, each week to get the best deals. 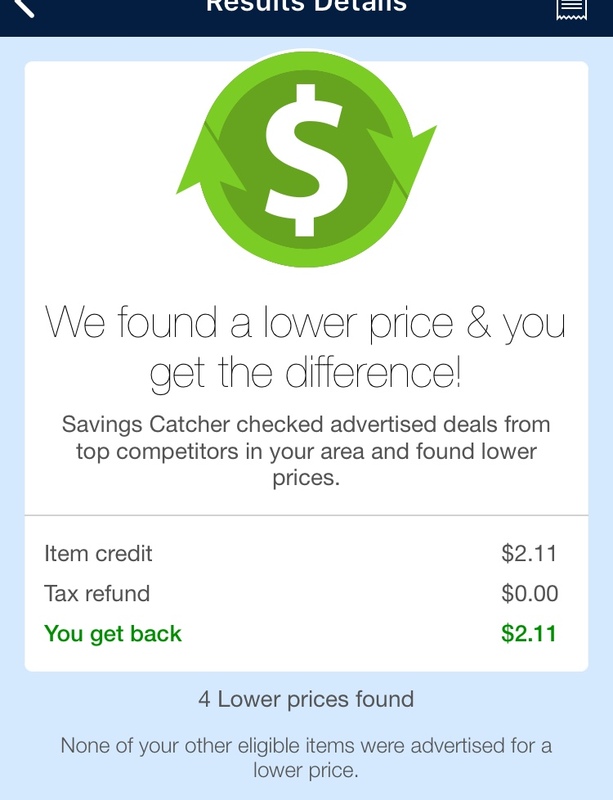 Then I found out that Walmart Savings Catcher (inside the Walmart app) will shop around for the best price for you AND give you the difference back if it’s sold cheaper somewhere else! Here’s how it works. 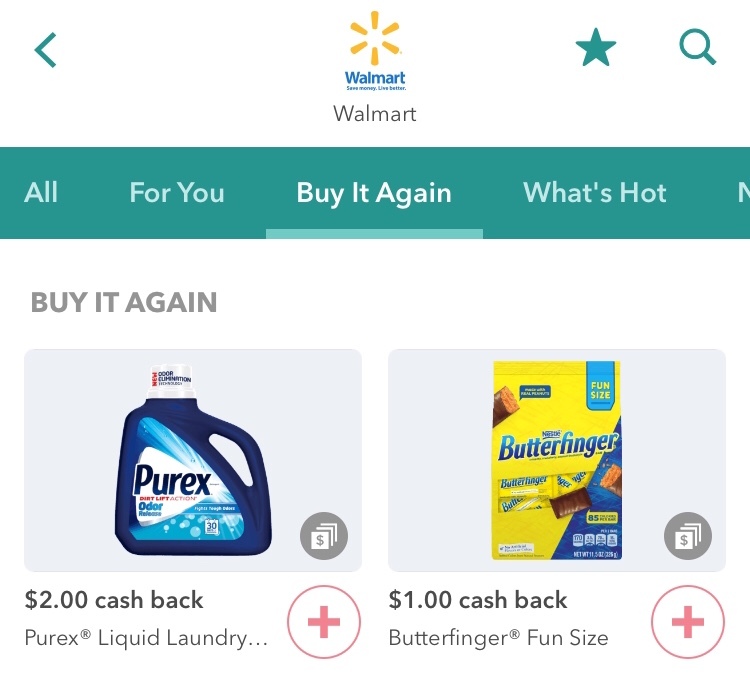 First purchase your items at Walmart then once you get home, open the Walmart app and click on “services” at the bottom of the page. 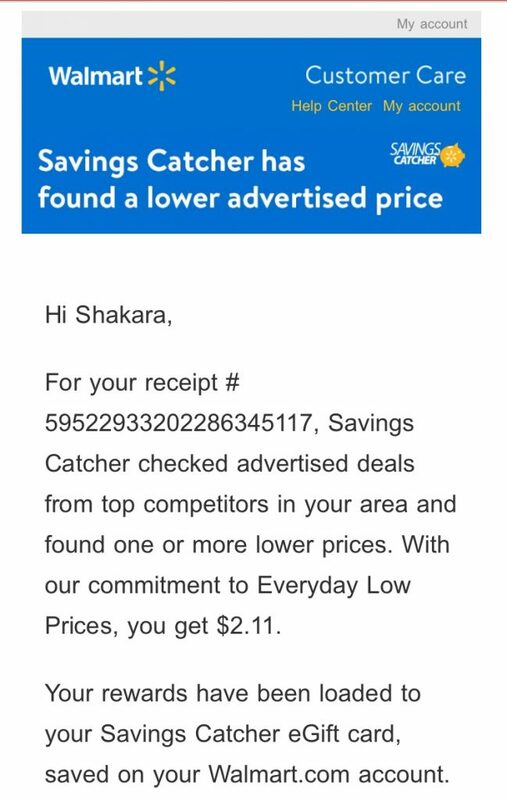 Then click on the “Savings Catcher” icon. 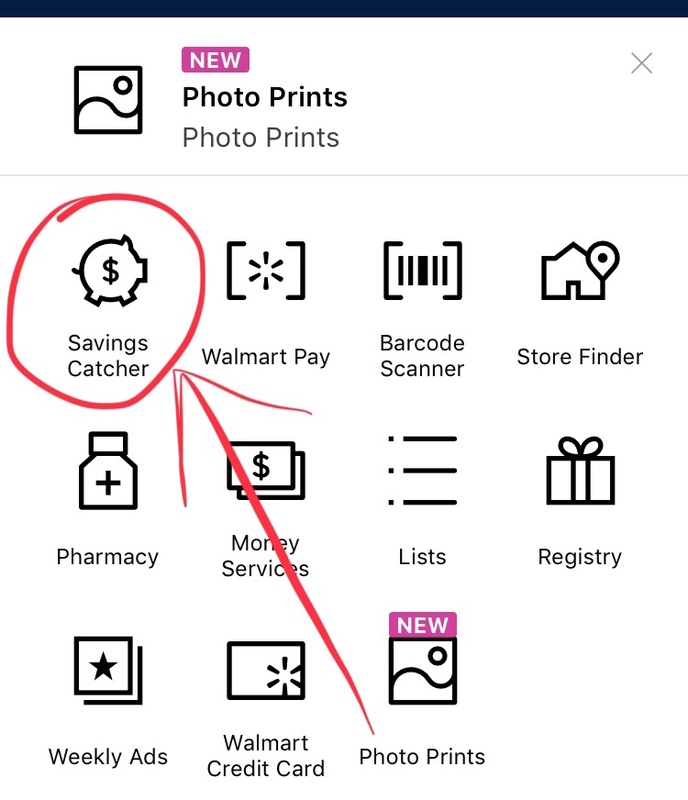 Once you are in the Savings Catcher section, you will see the history of how much you have gotten back since you’ve been enrolled, along with the option to add a Walmart receipt. Click the button to add a receipt. Use the in app scanner, to scan the QR code found at the botton of the receipt. The app does the rest of the work for you! 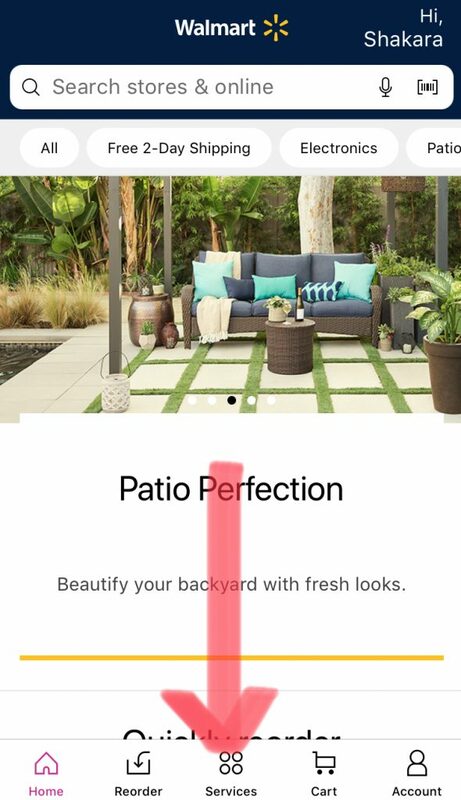 You will get a notification if there is a lower advertised price. I think this is pretty brilliant of Walmart to do and I like to take advantage of it every chance I can! They even have a rebate almost weekly for you to get cash back when you scan “any item” from a receipt like you see below! 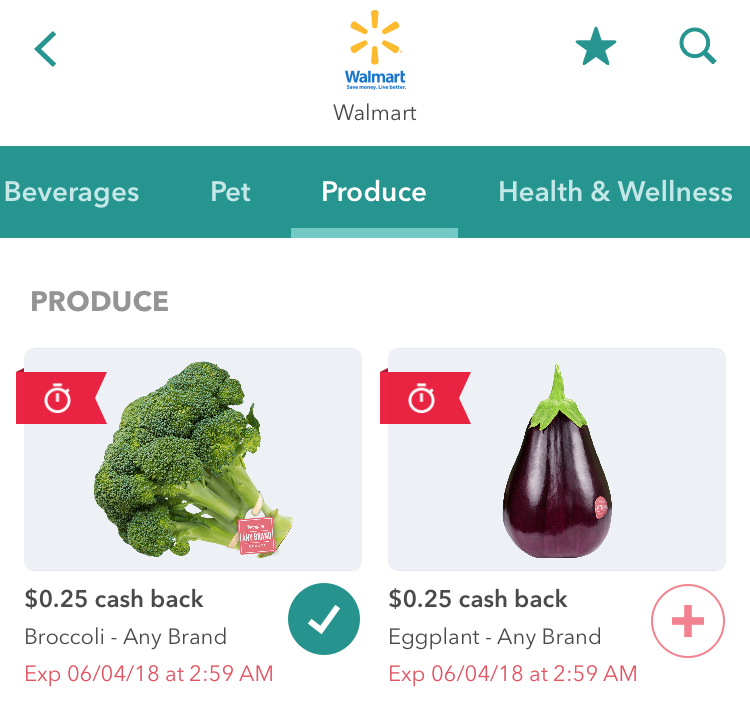 All you have to do is view what’s available for rebates on the app as you make your grocery list then unlock the items you plan to get. Once you purchase the items, you scan your receipt and the bar codes of the items when you get home. Within 30 minutes (usually it’s 10 mins. 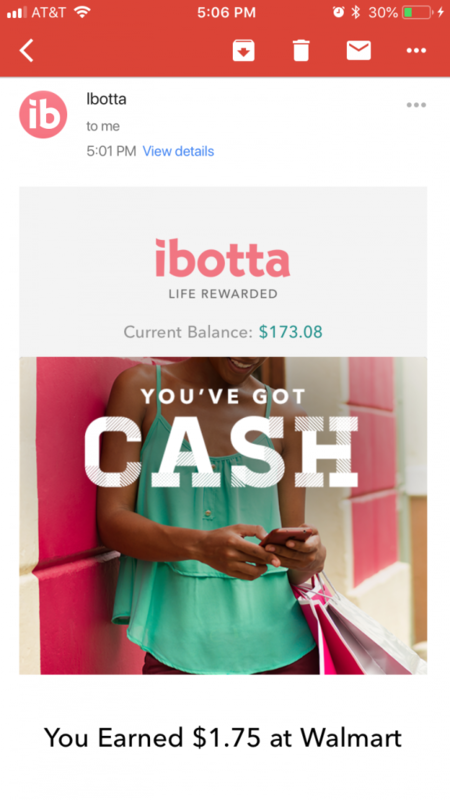 max for me) you’ll get an email notifying you of the cash back you earned that goes to your Ibotta account. Don’t believe me? Just look! Once you’re ready, you can redeem your money with different options. You can link it to your PayPal account or Venmo to get the cash or cash in for featured gift cards. I’ve cashed in once and got a $25 gift card, just to see if it was a trick. The process was so smooth and I was sent my e-gift card and spent it in store without an issue! Sounds too good to be true right? I knew you’d think that, which is why I posted my current balance as proof of how much I’ve earned! $178 dollars is a lot of free money just to unlock and scan items you probably plan to buy anyway. You can also refer friends and family and get $5 when they redeem their first offer. They will also get a $10 welcome bonus! I’d love for you to join my team, but no pressure. If you’re interested, use my referral code below and let’s get those free coins together! Have you grabbed your phone and downloaded it yet? What are you waiting on? There’s money to be saved! This is going to ruffle some Chipotle fans’ feathers, but I prefer Moe’s over Chipotle any day. I am in love with the veggie nachos so they tend to be one of my “go to” spots with all of my traveling and training when I cannot pack my own food. Not only does Moe’s have the better queso than Chipotle but they also have a really good reward program that allows you to earn rocking’ rewards with each purchase. Each time you order you must scan the app. 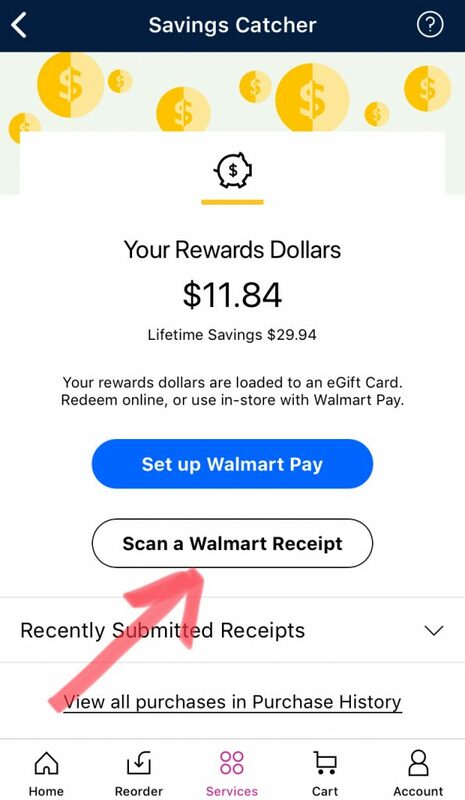 If the location doesn’t have a scanner you can select the store you’re at from the the app and it will connect with their system, allowing them to give you points. 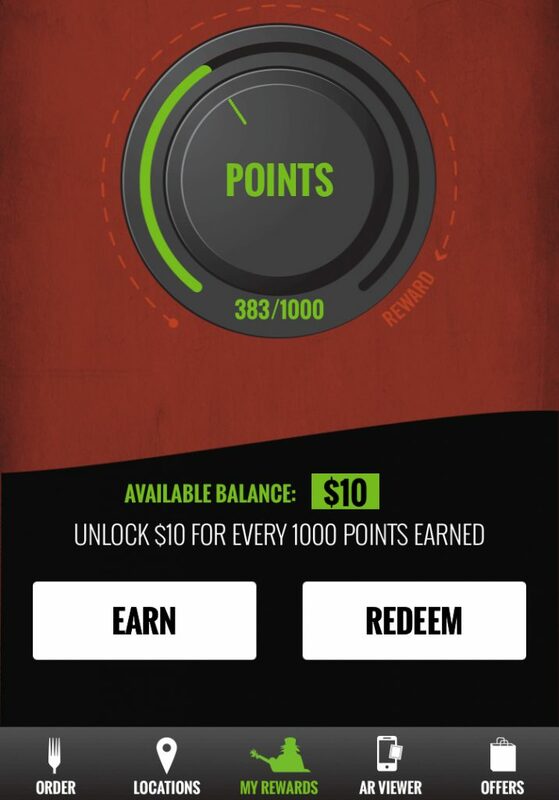 Every time you reach 1,000 points you get a $10 reward to use. 1,000 points sounds like a lot huh? I was thinking that too until I realized each order is roughly 60+ points. Even if you don’t frequent Moe’s it’s worth downloading this app and earning credit whenever you do go. Another tidbit about Moe’s is that they always have a $2 off coupon on the bottom of your receipt if you complete a survey so keep your eyes out for those too. I think we can all agree that Chick-fil-a is the best in the fast food industry for their customer service and quality. Many people don’t realize they also have a pretty awesome rewards program on the app. 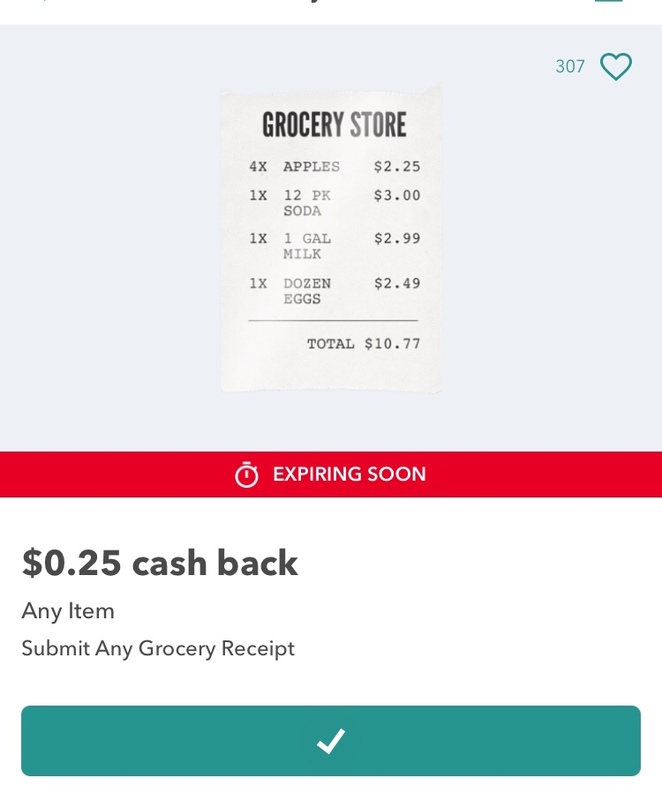 Some just assume the app is created for mobile payment options but actually the new Chick-fil-a one app allows you to earn rewards and free items without even using it to pay. The process to get rewards is simple. Just scan your app with every order and work your way towards free treats. Usually after every 4th or 5th treat, you’ll get to choose between three free items listed. Fellow non-meat eaters, no worries. The app allows you to customize what you like and there are several chicken-less options (some aren’t even listed 0n the menu – try the base salads without chicken)! Chick-fil-a also provides random surveys on their receipts that allow you to complete a survey and get free food, so keep your eye out for those too! 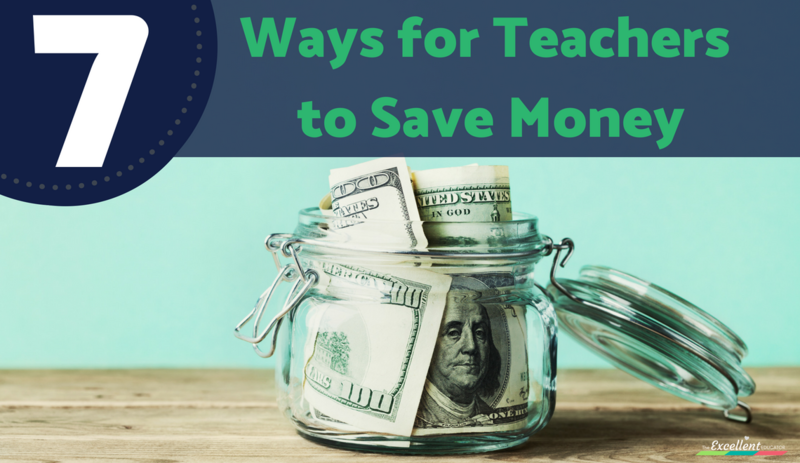 I’ve shared some of my best money saving secrets with you and I’d love to hear of any others that you have! Leave a comment below or send me an email. Awesome!! Thanks Kara! I do use the CFA app and get free treats. The others sound great too! If you live near a Chicken Salad Chick and you download their app, you can scan your receipt every time you purchase from their restaurant. They even send you notifications when they have double points day! They have lots of free items to choose from with so many points built up, but I am waiting till I get to 100 (I’m actually almost there :)) to get $5 off my next purchase. You also get $1 off your purchase if you complete their online customer satisfaction surveys! And their chicken salad choices ROCK!! !